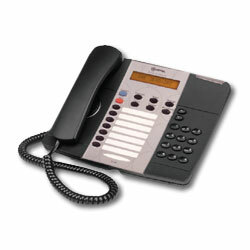 Mitel 5215 IP phone is a dual port, hands-free IP speakerphone with multi-line backlit display and programmable feature keys. It provides intuitive access to sophisticated call handling and converged applications. It is easily personalized with programmable keys or a web browser-based configuration tool.